There are millions of people suffering from acne around the world. And in recent years, acne breakouts have increased a lot more. This is because of a variety of factors new age like pollution, increasing stress levels and increased consumption of junk food. What if we told you that it is easy to get rid of stubborn acne? Kaya’s Advanced Acne Care Kit can help you get clear skin with simple steps. Most times acne can be reduced or prevented with simple skin care methods like cleansing frequently, consuming enough water, etc. But when these steps don’t seem to help, then the cause might be much bigger than just a small infection. Changing hormones in your body and sebum on your skin can interact with an acne-causing bacteria called Propionibacterium and cause stubborn acne. Our body does everything in its power to keep it safe and sound. The same happens on the skin surface. To keep the skin supple and healthy, sebaceous glands produce an oil called sebum. But sometimes, this oil gets mixed with dirt and gets trapped in your skin’s pores. 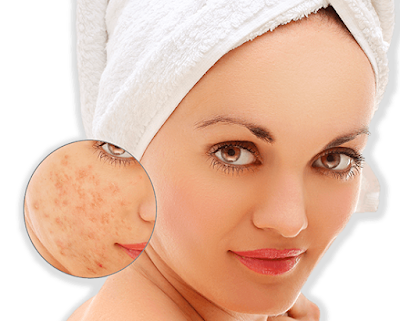 This environment helps the acne-causing bacteria to multiply, causing an infection. As the bacteria multiply, your immune system kicks in, causing pus, redness, and itchiness along with acne breakouts. Your face is most prone to acne, but it can also occur on other parts of your body. Simple home remedies like cleansing your skin frequently, using non-comedogenic creams, exfoliating every now and then, can help you fight acne and pimples. A daily regime of a cleanser, a toner, and a moisturizer can also work wonders. With Kaya’s Advanced Acne Care Kit, you can make sure that you get these simple steps right. It comes with four unique products that can help you get rid of acne with just four simple steps. Each of these products is dermatologically tested and are non-comedogenic and hypoallergenic. This kit comes with a cleanser, a toner, a moisturizer, and a spot corrector. This face wash cleanses the pores on your skin to remove dirt, impurities, and excess oil. But it also makes sure that your skin is not completely stripped away of its natural moisture. The Salicylic acid in the cleanser fights acne-causing bacteria and prevents them from returning. Take a bit of the cleanser in your palm and apply it on your wet face. Work up a lather, rinse, and pat your skin dry. Formulated with Mandelic acid, this toner is alcohol-free and has a gentle formula. It exfoliates your skin and helps unclog pores. A delicate mix of cucumber, rose, and witch hazel extracts soothe and moisturize skin while regulating excess sebum production. The toner also tightens open pores to keep your skin refreshed and comfortable. Spray a little bit of the toner on a cotton pad or ball and gently swipe it on your cleansed skin. You can also alternatively spray the toner directly onto your face. This is a gentle day cream that comes enriched with aloe vera. It has a non-greasy formula that is easily absorbed into your skin without clogging pores. Rose extracts and almond oil soothe your skin, prevent irritation, and nourish your skin to keep it soft and smooth. Take some of the cream in your palm and massage the cream gently into your face and neck, at least once every day. This potent serum is formulated specially to function as a treatment for acne scars. The product works overnight to soothe any irritation or inflammation caused by the pimples. A blend of Salicylic and Glycolic acids exfoliate your skin and help you get softer, clearer skin, overnight. Use the applicator provided to apply the serum directly on pimples. Use this twice a day, once right before heading to bed. If you’re looking to buy this kit, head over to Kaya Clinic online store. You can also seek professional help from Kaya’s expert dermatologists any time.